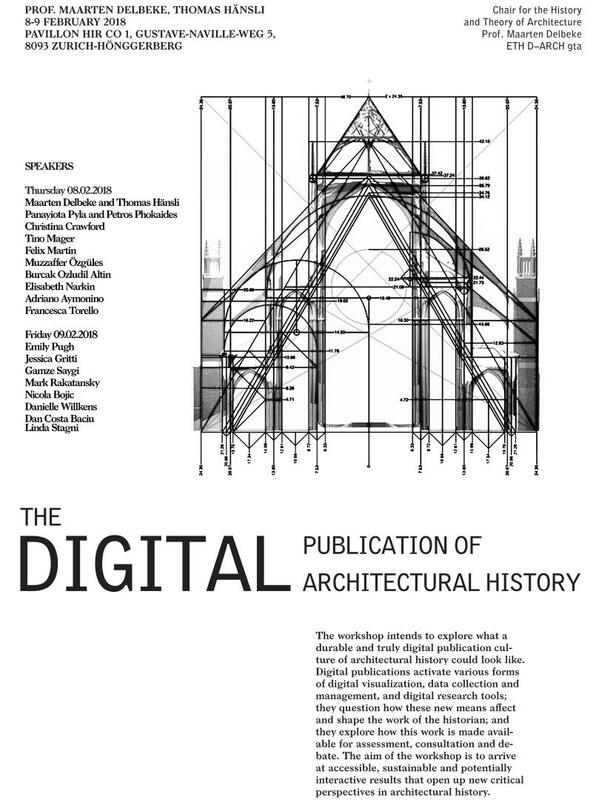 The workshop intends to explore what a durable and truly digital publication culture of architectural history could look like. Digital publications activate various forms of digital visualization, data collection and management, and digital research tools; they question how these new means affect and shape the work of the historian; and they explore how this work is made available for assessment, consultation and debate. The aim of the workshop is to arrive at accessible, sustainable and potentially interactive results that open up new critical perspectives in architectural history. Maarten Delbeke and Thomas Hänsli, Panayiota Pyla and Petros Phokaides, Christina Crawford,Tino Mager, Felix Martin, Muzzaffer Özgüles, Burcak Ozludil Altin, Elisabeth Narkin, Adriano Aymonino, Francesca Torello.